HOUSTON – (Realty News Report) – Houston’s multifamily sector has gone through several gyrations over the past 18 months. With an oversupply of units in the first half of last year to a scarcity of product following Hurricane Harvey to an equilibrium today, the market seems to have returned to more normal times. Or has it? To find out, Realty News Report spoke with Martin Fein, CEO of Martin Fein Interests, Ltd. Fein has built thousands of multifamily units over the past 30 years in Houston and elsewhere around the country and is gearing up to bring several projects to consumers over the next several years. Realty News Report: What’s the status of Houston’s multifamily market today? Martin Fein: In Houston, we delivered around 30,000 units in 2016 and 2017 and have 10,000 more units coming on line before the construction pipeline empties this year. The market is in recovery in large part, although there are a few weak spots. Some submarkets are strong – the Katy sector absorbed all its units very well as did North Houston. The Galleria area is still somewhat on the weak side — downtown as well. In the CBD, there are a lot of units coming on line, and it’s going to take a while for those units to be absorbed. Realty News Report: A lot of units were absorbed right after Hurricane Harvey as flood victims sought shelter. We’ve heard that you – the CEO – went into the office yourself in the aftermath of the storm and were answering the phone and leasing apartment units. Can you tell us about that? Martin Fein: Yes, that’s true. For about the first two weeks after Harvey, I was on the phone trying to place people in apartments and not just our own. Many people were looking for a place to live — any shelter – because they were unable to return to their homes. Our available units filled up quickly and we were 100 percent occupied, but we also worked to place people in other complexes around the city. Realty News Report: How is the recovery going in Houston? Martin Fein: Houston’s economy has come a long way since Hurricane Harvey. We have created some 100,000 jobs in the last 12 months and the city’s economic climate feels better than it did a few years ago. Home sales are strong, and we are seeing strong job creation as well as continued recovery in energy sector. Also a portion of the Houston economy runs parallel to the U. S. economy and the Port of Houston is doing very well which is also good news. 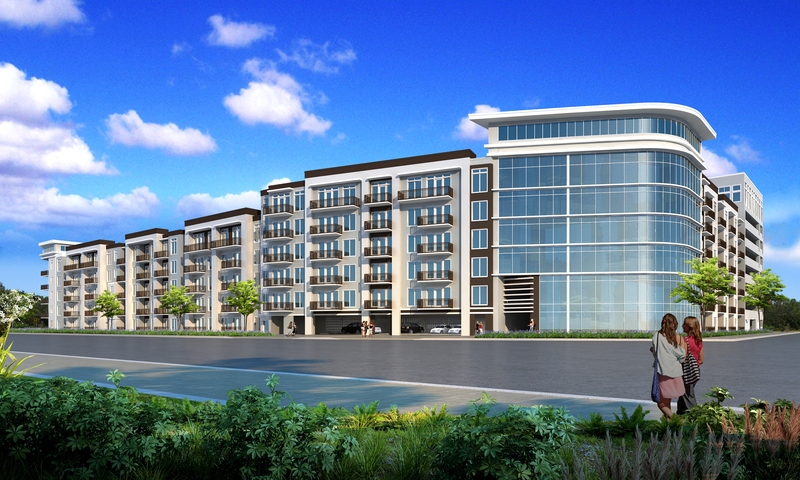 Rendering of new 304-unit Fein project, Reverie at River Hollow, under construction inside Loop 610. Architecture by Steinberg Dickey Collaborative. 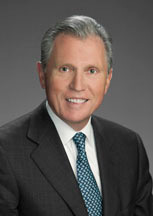 Equity financing by Hal Holliday of CBRE. General contractor: Westchase Construction. Realty News Report: Your firm recently acquired 3.4 acres on Post Oak Park Drive for a 300-unit mid-rise project, just east of Loop 610 at River Hollow Lane. Why was that an attractive opportunity? Martin Fein: It’s an unusually good location. It is tucked away in a residential neighborhood, but literarily on the edge of amenities such as the retail, hotels and offices of the Galleria area. It is a well located tract and when it became available we acted quickly. We broke ground for a new luxury apartment community in August that should be available to residents in mid 2020. Realty News Report: Houston has a lot of older buildings. Do you think they can be re-purposed? Into multifamily? Retail? Realty News Report: Your firm has developed a number of multifamily communities in the Inner Loop. Is that what the future holds, Houston getting denser and heavily populated? Martin Fein: There is no question Houston multifamily development is getting denser. One of our first projects inside the Loop was in the early 1990s — a three story walk up multifamily complex. But we’ve seen a maturation of the Inner Loop multifamily market in such a way that what recently has been a lot of mid-rise apartment development has morphed into high rise developments due in part to strong demand and fewer sites. I see continued saturation and densification in the Inner Loop market, with more and more vertical development because the cost of land is increasing. That, in turn, is causing many developers to go up in height with their products. Realty News Report: Houston will be gaining more population in the years to come. What are your thoughts and predictions about the city in the next 10 or 20 years? Martin Fein: Sometime in the near future, Houston will surpass Chicago and become America’s third largest city. We are a growing, diverse city. Houston is an international city with over 90 consulates. It is the most ethnically diverse city in the U. S. and, I believe, a precursor of what the country would look like in the future. We have a diverse economy at the same time, with a lot of drivers other than energy including the Texas Medical Center and the Port of Houston. I see a bright future as long as we address the challenges of transportation, water, sewer and other infrastructure in order to keep up with the dynamic growth.